"Tigers love pepper, they hate cinnamon." That's one of the trademark lines from Zach Galifianakis in The Hangover when three friends wake up from their overindulgent night out in a Vegas hotel room, only to find Mike Tyson's tiger waiting for them in their bathroom. It's fitting that TigersLovePepper is also the WGLNA name of 19-year-old Northwestern student John Caljouw, the battle caller who hopes to lead eClipse to the Season II Live Finals in Sin City (February 27; Downtown Grand), only this time, without the missing tooth, baby Carlos, or Mr. Chow (we hope). But first, the former Silver League champs need to qualify, as after the playoffs, only the top four teams will advance to Vegas to play for the $75,000 first place prize. Wargaming caught up with Caljouw between classes to get his thoughts on eClipse's chances. TigersLovePepper: My name really has a dual meaning. I had just watched The Hangover right before I created my account, and I loved the part where they were trying to give the tiger steak to get it out of the bathroom, and Zach Galifianakis starts putting all kinds of pepper on it and says, "tigers love pepper." The second part of it comes from the Tiger tank. I was like, well, there's a Tiger tank in the game, it's a funny line from the movie, so I'll just make my name TigersLovePepper. eClipse has really shocked a lot of people this season so far, and you guys are right in the thick of the playoff race. What's the history of the team? 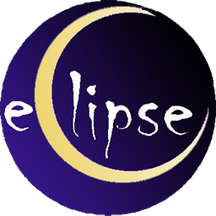 We are new to the Gold league this year, but eClipse has been a team for about two seasons now under different names. We were entered in the Silver league last season as Team Clueless, and that was under captain Conkie, who was the previous captain of our team. We actually had a completely different roster then, but what happened was, HonneyBadger and Carl were two of the original members of the team, as well as Hoff, our media manager. So those were the original members of the team, then as the Silver league progressed, they brought on T1_Diabetic and myself in order to boost the team forward. I decided that I wanted to get into the Gold league by this season. I basically set that as my goal. And I knew that if I wanted to play professionally, I really needed to step up my game. Previously to this, I had been in the Clan Wars scene. I'm the commander of the Clan OTTER, which is one of the more prominent North America clans, so I wanted to step forward and step up to the next level. I decided that the best way to do this was to join a Silver league team that could then qualify for Gold league. It's very hard to join a Gold league team independently. It's tough to just cold call a Gold league team and get on their roster. So myself, T1_Diabetic and drawkcaB all joined Team Clueless, helped them win Silver league, and then as the team progressed, we just continued to make roster changes. That's really the team's origins. What were your expectations entering the Gold league? Did you know you'd be this successful early on? The best way to go into matches is to not have any expectations and just play your best game, but it's very hard to do that. You obviously realize internally that you do have expectations, no matter what you tell yourself. Our personal expectations for this season were not to be relegated. We wanted to be one of the top six or so teams, and that continues to be our goal. Since the season started, I think expectations have gone up and down as reactions are made to every match, but my long-term view is that we want to be a successful team and we want to keep improving as a team. My goal for the team is to play its best every match, but I know a lot of other guys on the team have higher goals than that in terms of wanting to do well in the playoffs. What do you see as the biggest difference from playing in the Silver league and moving up to play Gold? I think it's completely different. If you look at our team, the Silver league team we had and the Gold league team we have now is completely different both in roster and tactics. The Gold league team we have, it's myself and DarkGodZim who come up with the tactics, where in the Silver league, it was Conkie, and he's no longer with the team. His strategies were a little more basic, so the Silver league team we had, I don't think could've competed in the Gold league. I think the roster changes were instrumental in our success because the level of competition is completely different. For example: The best Silver league team we faced was Googlybobbers. We beat them in the finals. But if you look at where Googlybobbers is this season, if you look at Ding, another one of top teams we played in Silver, the best of the Silver league is the middle to the back half of the Gold league right now. The competition is just so much tougher. 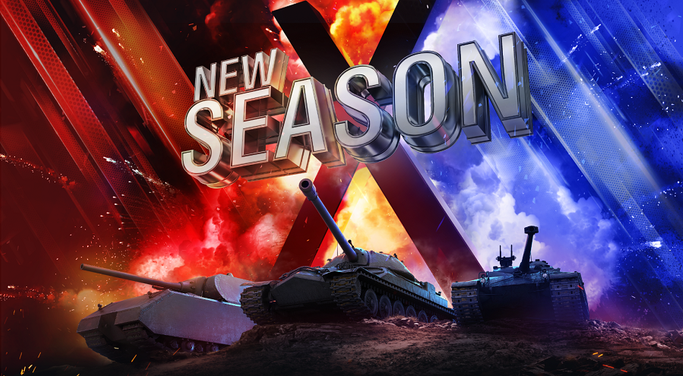 How do you think the move to tier X has changed WGLNA? I think with tier VIII, you had more control as a caller and more control over the strategy because it was a lot easier to determine what tanks were going to be where. There was less tank variety, which means it was easier to control. There is less you have to anticipate as a caller, so it's more under control from a tactical standpoint. A key portion of any type of competitive play is positional advantage, and a lot of times, that dictates the engagement. In tier VIII, since there was less variety of tanks to take into account, it was easier to anticipate your opponent's strategies, especially with the IS3s and T-54 lightweights dominating the meta. The other thing that makes tier VIII more tactically controlled is that the HP is much lower. It's a lot easier to get an HP advantage just from one position without a player being able to play out of it. With tier X, it's more player skill based. Players have more ability to make plays, the tank variety is much greater, and so that puts much more of a primer on reactions and individual team play over initial strategy, where in tier VIII, the initial strategy can give you such a big advantage in terms of HP, that it's hard to come back from. Ultimately, I think for the league, the change to tier X was great because it makes the game higher stakes. I think the average watcher likes to see tier X because that is the end tier. The end tier is what people are striving for, it's the most interesting, so it's a good move by the league overall. The WGLNA Finals will have four teams competing live in Vegas. Who do you see making it out to the final four? The clear two teams that everyone is anticipating right now are Noble and HWC. I think after that, it gets a little murkier. My bet would be on SIMP, and after that, either us or Caller Wanted. At this point, we've already beaten Simple Tankers, and they have a tough slate up ahead, so I would bet on us over them. The biggest competition for us would be Caller Wanted, but we're facing them this week, so I would say the winner between us and Caller Wanted has to be the favorite for that fourth spot. It's difficult, though, because only the first two teams get automatic byes to Vegas, so that means teams three through eight have to compete, and like I said, us, Caller Wanted and SIMP are all in good positions, but it's tough to say when it comes to the playoffs. I think this season has shown that on any given day, any team can show up. Noble can go out and lose to SIMP one day, and then beat HWC. It just depends who is going to show up. Will we see the eClipse who beat SIMP in overtime, or the eClipse who lost to HWC 5-1? It just all depends how we perform. Is it the coordinated team who is not rattled and executes their strategies well, or is it the team that just gets outclassed? But with the matches just being nine games, it's hard. You can have a bad map and go down 0-4, so it just depends on the individual match day. You mentioned your upcoming match against Caller Wanted. What makes them so formidable? I think the big thing about Caller Wanted is that they brought on Aggressor as their caller. I've called against Aggressor personally, and I know he's a competent caller, so I think that addition has really boosted the team to a different level. Their name is appropriate -- Caller Wanted -- they needed a caller, they needed someone to dictate strategy for them. Their roster is really talented. If you look at their stats, they're all extremely strong individual players, they just needed someone to coordinate tactics for them, and now that they got that, that has been a key part of their rise as a team. That being said, they have a real task coming up over the next few matches as they have to face us and HWC. We'll see how they fare under that heightened level of competition. You're a popular pick in WGLNA Fantasy League. Do you hear from fans who need you to pull through for their team? It's funny, I'll hear from people on Twitch. They'll be like, "Counting on you tonight Tigers," or "Bring home those fantasy points!" I'll just be like,"I'll do my best. Just trying to win." It's fun, but we don't really focus on it. The biggest thing for us is performing well in matches and building out the fan base for the team. I have to say, though, among our team, Masterpupil is very concerned over fantasy points. He wants to be recognized, but he also wants to get the prize at the end of the season. There's like a $500 bonus (for being the pro with the highest scoring fantasy team), so he's definitely more concerned over his fantasy score than anyone else on the team. What's it going to take for eClipse to win it all in Vegas? It's going to take a lot. We really need to improve our team dynamics. We're making a lot of mistakes mid-game right now from a small team tactics standpoint. Strategically, we're generally on-point. Our openers are fine, our responses are good, the problem is that we're not good at small, tank-on-tank engagements in terms of tactics. It's the middle level between strategy and individual play, like a 2v2 or a 3v2. I think we really need to work on that, while at the same time, everyone needs to continue to work on their understanding of maps. We just need to take things to a whole new level. I know that we can. The matches that we had against SIMP and Simple Tankers show that we can, but we just need to continue to practice on those small team tactics. Our team doesn't have the same rapport that Noble or HWC has, and that shows because we lost pretty brutally to both of those teams. We haven't been playing with each other very long, so the more we play together, the better we will get. We had a lot of roster changes, and we even had to eject our captain for a number of reasons that I don't want to get into. We've also had to move people around due to a variety of issues, like Romeburner, whose kidney exploded, so he has been in the hospital for three weeks. We had to rotate people into the team, and then we had to bring Mort in due to an emergency roster change, so the biggest thing to us is team dynamics. We're not as good as reacting together like some of the more seasoned teams, but we're getting better, and I think as the season progresses, you'll see us come together as we make our push to Vegas.